Congrats, Hannah! A book will be sent to you by the publisher. I hope you and your kids enjoy it! PHEW! GLAD YOU FOUND US! Today’s guest and I have been wandering around all discombobulated, bumping into furniture and whatnot, so it’s a good thing you showed up when you did. We have lots to do and see, and I feel a bit like a mix of the March Hare and the White Rabbit, so let’s get to it! Betsy is hosting the Poetry Friday roundup today at Teaching Young Writers. And that is a good place to find yourself! This week I had happy news! A book of poetry I co-authored with Marie Rippel of All About Learning Press — Lizard Lou: a collection of rhymes old and new — was awarded the silver medal for poetry in the 2012 Moonbeam Children’s Book Awards! This is the book that brought me into the world of children’s poetry in the first place, so I am particularly tickled (partickled?) to have our work recognized. 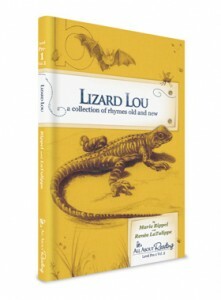 To help me celebrate, the publisher is kindly sending out a copy of Lizard Lou to a lucky winner! 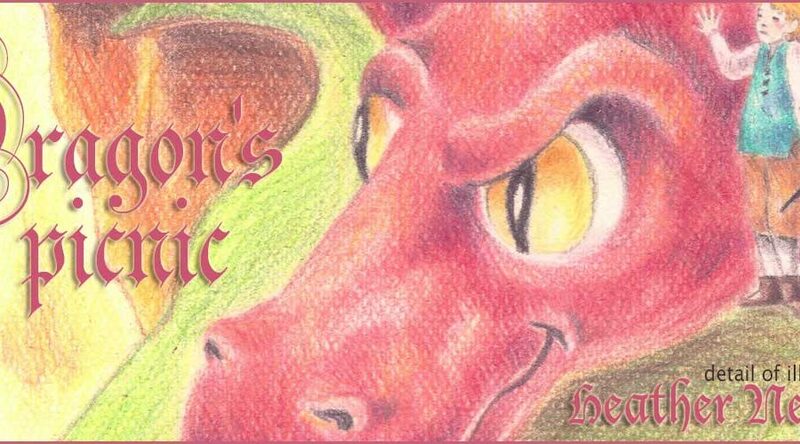 The 112-page hardcover book features 43 new poems by yours truly and 35 traditional rhymes and poems, curated by Marie, by renowned children’s poets including Leroy F. Jackson, C. J. Dennis, Vachel Lindsay, Ralph Bergengren, and more. Even Emily Dickinson makes a cameo appearance! Oh, and it’s spruced up by delightful black and white illustrations by Donna Goeddaeus. You don’t have to do anything special. Whoever leaves a comment will be put in a hat…ooh, I better get a bigger hat to fit all of you in there. The winner will be chosen by Random.org and announced on the NWR FB page and on this post next Friday. Yay! Shout-outs to two other winners you may know: Carol-Ann Hoyte and Heidi Bee Roemer won bronze in the poetry category for their anthology And the Crowd Goes Wild, and Charles Ghigna won silver in the pre-school picture book category for his book Little Seeds. Congrats, peeps! 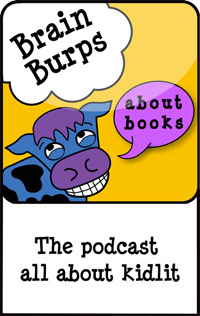 O n Wednesday, I was a guest on kidlit writer/illustrator/guru Katie Davis‘s fabulous podcast Brain Burps About Books. What a hoot! The episode is entitled “How to Inspire the Creative Juices,” and we chat about Italy, inspiration, ancient tombs, and Julie Hedlund’s Writers’ Renaissance Retreat that will take place in Florence, Italy, April 7-13, 2013. Alas, I am not able to spend the whole week with them, but I will be popping by the retreat on the last day to film a group poem for the blog, with the magnificent Duomo as the backdrop. Yum! Give a listen to the podcast right here! Carrie has been meandering hither and yon while I yammered on, but once we sweep her out of the corners, she’ll be ready to regale us with…oh, here she is now! Please enjoy Carrie’s tale of a strange land called “Idunno,” then stick around for the interview, too! My brother’s always losing things. We’re not sure where they go. And pencils by the box. “Where is he?” asked my mother. Carrie: who are you, where are you, and how long have you been a rhyming fool? 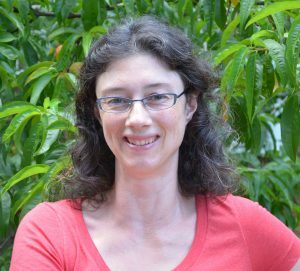 I am a writer of stories and poetry for children in Arlington, Massachusetts, where I live with my husband, son, and daughter. 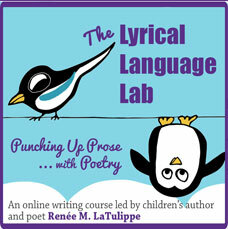 I’ve always been interested in poetry as a reader and lover of words, but didn’t start writing poetry for children until around 2007 when I was reading a lot of rhyming picture books and magazines to my son (then 2) and I thought, “I’d like to try to write this.” Writing for children and teachers had been a part of my job as a producer at an educational software company, but I’d never tried my own creative writing. I have also been, at various times, a newspaper reporter, a world traveler, a house cleaner (I still haven’t managed to shake that title), a horseback rider, an amateur photographer, a swing dancer, and many other things. you will find a part of me. because I have written it most thoroughly. me, yes me, without a doubt. and all the things I ever had. so go ahead, take a look. for you have not the time to waste. Do you like how I dedicated the book to myself? In spite of that faux pas, I was sort of proud of my fifth-grade self for this little rhyme. Is your family as geographically challenged as the one in the poem? How do you all find your way to the dinner table? Leave a trail of unmatched socks? There is one member of our family who is particularly challenged in that area, but for the sake of family harmony I won’t mention which one. I’ll just say that I’m usually the “finder” in the family. However, I do have my own areas of weakness. The ringtone on my phone is “I Still Haven’t Found What I’m Looking For” by U2, because I can rarely find the thing. “Idunno” was inspired by a day when I was trying to get my son out the door for a soccer game. Where are your cleats? Idunno. Where are your shin guards? Idunno. Socks? Water bottle? Sweatshirt? Idunno. These are the moments that inspire poetry. As for the dinner table, it’s often piled high with projects, so it’s sometimes a matter of actually finding the table before we can sit at it. Luckily we also have an eat-in kitchen. People might not know this, but I do because I stalked you: you have a talent for editing/critiquing poems. Do you have formal training in writing poetry and/or a Ph.D. in nitpickery? I don’t have formal training in writing poetry, but I have been a nitpicker my whole life. As a child, I enjoyed correcting strangers on their pronunciation. (“Mommy, he said ‘somethin’ but it’s really someTHING!”) My mother seemed embarrassed, but I’m sure these people were only too grateful to receive these elocution lessons from a three year old in line at the bank. My career in criticism continued in middle school when I joined a club at the town library called “Junior Critics.” Our job was to read the new middle grade books that came into the library, discuss them, and write up recommendations for other kids. Oh, and the librarian paid us in Oreos. Dream job, right? In college, I decided to major in English (was there ever really a question?) and continued with the literary criticism, this time for letter grades instead of cookies. I took a few poetry analysis classes, which is my only formal poetry education. I still have so much to learn about writing poetry. I’m currently in a wonderful online poetry critique group, Poets’ Garage – basically a group of rhyming nitpickers like me. These people will pick a poem to shreds…but in the friendliest way possible and all in the spirit of improving it. It’s the perfect place to be. Renée, my compass is only occasionally accurate, but you are certainly welcome to try it out. GPS would be so much better, wouldn’t it? I started writing poems down in 2007 and sent a batch in to Babybug in late 2007 – that’s what I was reading a lot of at the time and so that kind of short poetry for very young children was “in my ear” so to speak. They were all rejected. I didn’t send anything else for over a year, but I kept writing down poems when I had the chance. I finally sent out more poems in early 2009, one batch to Babybug and one to High Five. My daughter was due early in the year and I had a long list of things to get done before she arrived – and as a New Year’s resolution moved “send out poems” to the top of the list. As it turned out, she was three weeks late so I had plenty of time. From that batch, one poem was accepted by Babybug and one by High Five. That was the boost I needed to keep going. My poems have appeared in Babybug and High Five magazines, and Stories for Children ezine, and I have more work forthcoming in Ladybug and Highlights. In September, my poem “Superfan” was published in And the Crowd Goes Wild, a sports poetry anthology. I find that writing for magazines suits me right now because I have limited time to focus on longer stories. As I go about my errands and work of the day, I can keep a couplet or two in my head and turn it around and around, or jot it down on the back of my shopping list. I also like having many pieces out on submission at once. It helps keep my mind off any one thing. Is your opus focused mainly on poetry, or do you write other stuff, too? I have been participating in Julie Hedlund’s 12×12 picture book challenge this year, which has been a blast. About half of my manuscripts are in rhyme and the others are in prose, but even in my prose I like to use lots of made-up words, sound words, and rhymes. I also do freelance writing for educational publishers, mostly content development for software products. Some of this is fiction, some nonfiction. Other times I work on developing online quizzes or glossary entries, all those little bits and pieces a student might read when using a piece of software. It’s nice to occasionally get paid for writing. What do you do when you’re not wandering aimlessly around town? If you could take a road trip with any children’s poet (living or otherwise), who would it be, where would you go, and what would you do when (if) you got there? To be a more careful geography student. I came up with some others, too, and will post them on my blog on Friday. Yes, please come visit online. Anyone who shows up at my house will be put to work organizing the cupboards and basement so we can more easily locate our stuff. Actually, if anyone WANTS to do that, you are welcome! I just started a blog where I’ve been posting picture book reviews, as well as some thoughts on creating stories for children. I hope to be posting some poems there, eventually, too. And I’ll even give you the address so you know exactly where to find it. Thanks for stopping by, Carrie, and for adding “Idunno” to No Water River’s growing video poetry library! Thank you, Renée! I’m so glad you found me. In Carrie’s poem, “Idunno” becomes a made-up place where lost things go. Brainstorm a list of possible names for a made-up place — like No Water River! Choose your favorite, then make a list of ideas about what happens in this place, who lives there, what it looks like, and so on. Turn your list of images and ideas into a poem about your place. Teachers of younger students, this exercise could be done as a group poem. Homeschooling Downunder has a marvelous list of geography picture books that take kids around the world, from New Jersey (Jane Yolen’s Owl Moon) to Japan (A Pair of Red Clogs by Masako Matsuno) and everywhere in between. Try Amazon’s list of books about maps and mapping skills. Travel the world with the classic This Is… series by Miroslav Sasek. All different types of make-your-own-compass activities at these places: Crafty Crow for a simple compass experiment, Disney for a pirate compass, I Can Teach My Child for a paper plate compass experiment, and Discovery Cube for a complete lesson plan and compass-making instructions (PDF). Artists Helping Children has lots of globe and earth crafts, while Activity Village has geography crafts and activities for younger kids. oops — guess you’ll have to come back to find out! Video Location: Right here. Or maybe over there. Idunno. “Idunno” copyright © 2012 Carrie Finison. All rights reserved. Thanks so much for having me over today, Renée! I don’t know exactly where No Water River is…but I’m glad I found it! I’m glad you did, too, Carrie! I thoroughly enjoyed working on this post with you! Congrats, Renee, on your silver medal award for Lizard Lou! And thanks for the shout-out for Little Seeds. 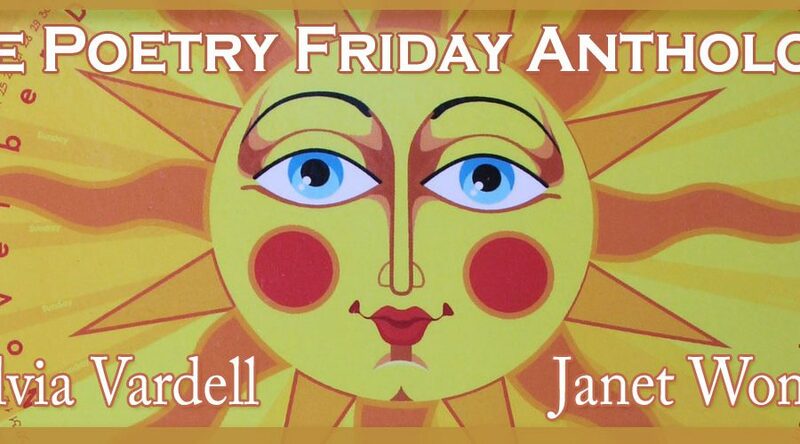 Your blog today is a virtual cornucopia of poetry surprises! How fun to learn more about you, Carrie! I laughed at the remark that you were paid in Oreos at school 🙂 Your Idunno poem sounds perfect for my son! Writing content for software sounds intriguing as well. Do you do it often? And again, congratulations, Renee, on Lizard Lou!! The paying projects don’t come along THAT often, but I do try to take advantage of them when they do. Now that my daughter is in preschool it will be easier to do more of that and also maintain my poetry writing vice. Loved this post. Congrats Renee, on Lizard Lou! This was lovely getting to know more about my critique partner Carrie, and look forward to more of our sessions. Loved that you love Margaret Mahy poems… she was a whacky lady, a lot of fun. Maybe I will see you down these parts some day!!! How super! Thanks for the introduction to Carrie! (Love her couplet! She did a great job with the prompt you gave her 🙂 ) And congrats on your silver medal, Renee! Thanks, Tabatha. Renée is a stern task master. What a fantastic poem! Many things in our house have been to Idunno and may still be there for all I know. My favorite line was the one that said Idunno was near Montana! 🙂 Very entertaining snickerview, ladies – thoroughly enjoyed it! Thanks, Susanna! I’m glad you enjoyed it. Wonderful interview with the wonderful Carrie. IDUNNO is such a great poem…it needs to be on every refrigerator around the world, I think! Congrats on Lizard Lou, Renee. I would love to have that book on my shelves! Ooh, I can see it now…a line of ‘Idunno’ fridge magnets. Which naturally wouldn’t get lost since they’d be stuck to the fridge. Thanks, Penny! I love “Idunno” Carrie – great job! Love your choice of poetry site too with the beautiful Beantown skyline. Wow, ‘entomological’??? That’s just heartless. Oh, and my Dad had a round tuit, too. Never got old for him! Super interview ladies. Congrats all round. Idunno is super. Nevermind teenagers, I say it all the time 🙂 Fridge magnets is a great idea! I love the poem (Idunno near Montana made me laugh out loud) and it was fun getting to know a little bit about you, Carrie. Great choice of spots for reading your poem, I grew up south of Boston and it was nice to see that familiar skyline! Congratulations on the silver medal, Renee. That’s just wonderful! Thanks, Heather! We do love our view of Boston. Hey, everyone who has stopped by and those still to come – thank you for coming to meet Carrie and for your congrats and for your very existence on this, our planet Earth. I love that poem, Carrie! And what a terrific reading. You’re a natural! Beautiful spot to have near your house, btw. Renee, big congratulations on the award! My son actually goes to school on top of that hill, so we’re spoiled — we get to see that view every day. Congrats, Renee on the Silver Medal Award! I wonder if IDUNNO is near IDIDNTDOIT? LOL, Lori. If only we had a map. Loved hearing you read that poem, Carrie. I LOVE that poem, and nice seeing you set against the Boston skyline. It makes me yearn for Cambridge again, especially at this time of year. Great interview as well. Funny and informative. 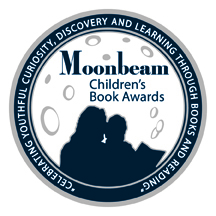 Renee – congrats on the Moonbeam Award! Thanks for stopping by, BJ! It’s nice to see you over here. Fun poem, and so relatable to young and old! Love the interview, too, Renee – thanks for sharing! Thanks, Matt! I don’t think anyone is immune to losing stuff…I know I’m not! Congrats on the Silver Medal, Renee! Congratulations on your award, Renee – that’s fantastic news. And another wonderful interview – I loved the oh so eloquent geography couplet! Thanks, Marjorie. I have some more posted on my blog. Once I got started, I couldn’t stop myself. Congratulations, Renee, on your award! It’s great to meet Carrie, who is not so far from me geographically! Carrie, I love the cadence of your poem. Very well done! Thank you, Joyce. It’s nice to meet another New Englander. I am a teacher. In an effort to get more poetry reading and writing into our school, I am sending out a poem and exercise each Friday. Because our network blocks all blog sites, (sigh, sigh) I do a copy and paste thing and site your blog. I think my colleagues are going to love Idunno and the fun writing project about an imaginary place. Congrats on the book award. And thank you so much for hanging out in No Water River writing and promoting poetry. I am listening and spreading the word. Oh, Margaret, thank you so much for sharing that. No Water River is such a wonderful place isn’t it? Renee has done a fabulous job with it. Great interview, as always, Renee. Thank you for your wonderful extension activities for the classroom. Thanks for visiting, Laura. Aren’t the extension activities great? I don’t know how Renee does it! I enjoyed your poem, Carrie! The Montana line is my favorite as well. Fun interview, and you did a great job on the prompt! Thanks for stopping by, and for your kind words, Iza. Renée, you have an awesome website! I can’t believe I never made it here sooner. Well, I really enjoyed getting to know my new friend, Carrie! IDUNNO was so much fun to listen to. Carrie, I love the scenery you chose as your backdrop. Gorgeous! I can tell from your 5th grade poetry that your writing path had been set for you long before you were born. Thanks, Romelle. I’m glad you found your way here – it’s a great place. Renée, as always love everything you have to offer here. Congrats on your award and even though it may not make a difference I will say it anyway….PICK ME, PICK ME for the giveaway! You have sent your PICK ME into the universe, and now it is up to the cosmos. May the lizard be with you! Thanks for listening to the poem, Betsy. I’m glad you liked it. Thanks for your kind words, Myra! Congratulations on your medal, Renee. That’s great! Love the poem “I dunno”-will share with the older students soon. Love hearing the history of Carrie’s poems and the stamina to get those poems published! Thanks also for another video; I love ‘hearing’ them. Thank you, Linda! I’m so glad to hear you’ll be sharing your poem with students. Congrats to Renée on LIZARD LOU! And a fun interview. I enjoyed getting to know more about you and can attest to your fine critiquing skills. You really zoom in on the heart of things. That must be your superpower. Can’t wait to read more of your poems. Are the (magazine) published poems available for perusal somewhere online? Hi Dana! I love that superpower idea. Maybe I’ll whip up a Halloween costume around that idea. I don’t think the magazine poems are available online. Babybug just started an interactive edition, available through iTunes, but I don’t know if it mirrors the content of the print edition or not. Maybe I’ll check that out myself since it would be fun to see. But that might be a fun way for international people to get a feel for the magazine if you think you want to submit. I can certainly relate to the description of trying to get out the door but everything being in Idunno! That happens a lot at my house, too, particularly with socks. They seem especially apt to wander off. What a fun and so-true-to-my-life poem. Thank you for this great post, Renee. full of inspiration and fun. Many congratulations to you on your medal. (I clink a glass for you tonight!) You deserve a blogger-generosity medal too. Carrie! I wish we could go on a road trip to “Idunno” to find all of the things that I lose. Your couplet is fantastic too – I love it when the title adds a completely dimension. a. Thanks for the clinky, Amy! I loved Carrie’s couplet title, too. Congrats Renée on LIZARD LOU! Yay! Carrie, your poem had me in stitches. I’ll admit right now that I’m the directionally challenged one in the family. My husband even bought me one of those beeper things, so I wouldn’t lose my keys. It would have worked if I hadn’t lost both the clicker and keys. If you ever find Idunno, let me know.